The Consumer Electronics Show 2017 (CES 2017) is one of the biggest tech gatherings globally and certainly has some of the brightest minds in the business showcasing future technologies. 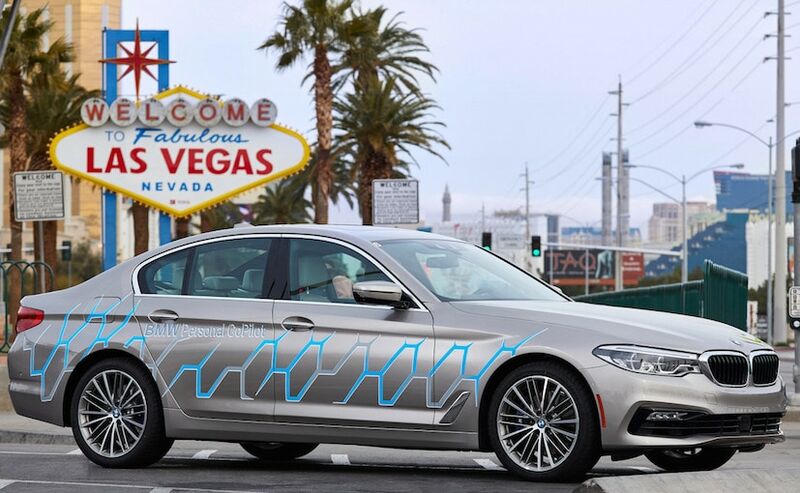 With cars increasingly getting populated with technology, it is not surprising that carmakers are also participating in the show and unveiling some stellar concept studies. 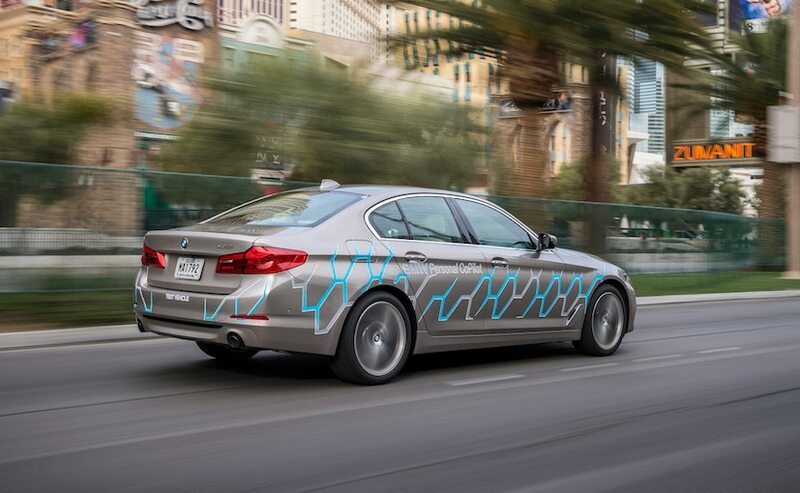 In this case, it is BMW that has revealed the self-driving version of the new generation 5 Series. Much like the other self-driving cars, a host of sensors and onboard computers play an active role in controlling the vehicle. The onboard system on the new 5 Series uses a digital map to cross check the vehicle's position and surroundings. This, in turn, makes for accurate lane-keeping even with the driver behind the wheel. You can also update the vehicle of your upcoming appointments and events, and the car will be able to calculate the optimal route and suggest departure times based on road and traffic conditions. 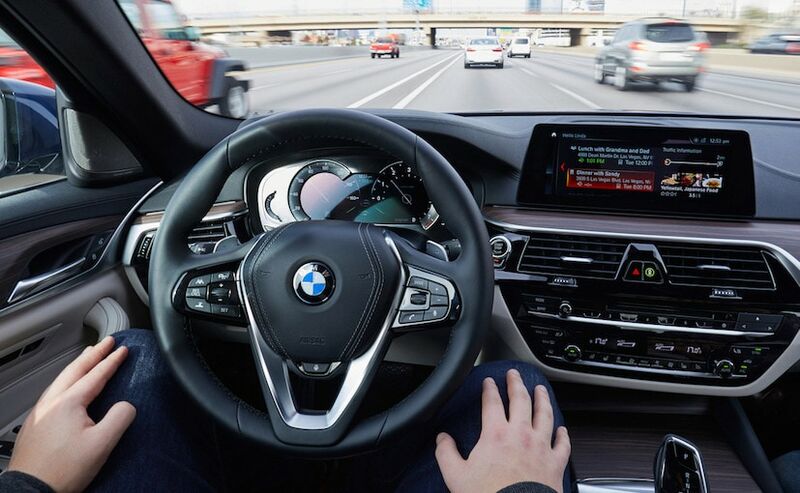 Should you choose to shift to the full autonomous mode, or as BMW calls it 'Passenger mode', the car comes loaded with access to apps like Amazon Prime Video and Amazon Prime Now. With the onboard system behind the wheel, the driver can choose from watching videos to listening songs. If you opt for a video, the car will automatically dim the lights and close the rear sunshades for better viewing. Moreover, the system integrates with the user's smartphone or tablet for seamless connectivity. All that information is controlled via an Open Mobility Cloud service, which acts as the intelligent data management system. 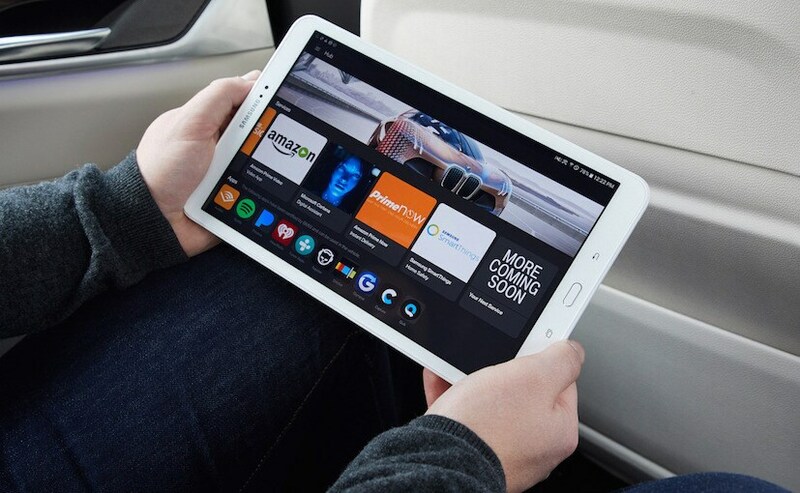 It also allows drivers and passengers to enjoy the added in-car entertainment network. 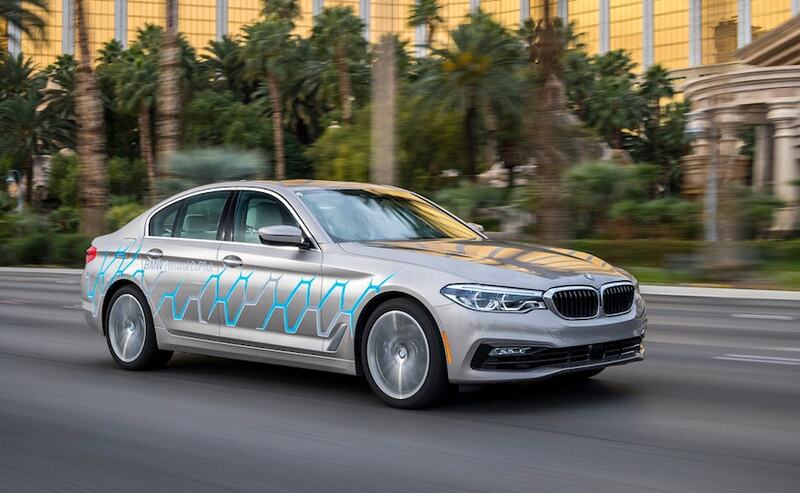 In addition, the BMW 5 Series self-driving prototype features the gesture controls like that on the new gen 7 Series, and will also include the Microsoft Cortana for voice controls. However, the real party trick is the Robot Valet Parking service, which is essentially parking your vehicle remotely. All the driver needs to do is exit the vehicle and send it on its way to the parking spot. Similarly, the driver can call for the vehicle using an app and the car will drive itself to the driver's pick up point.